Coach Ahmadi's holistic approach to fitness includes a combination of functional training and bodywork. This approach works for pro athletes, weekend warriors, busy professionals, adaptive athletes and anyone wanting to feel stronger, move efficiently, and correct pain or injury. Each session is customized specifically to the client's needs and goals and may include a combination of the services below (e.g. functional training, bodywork, movement analysis, etc.). When making an appointment, please select the session type that most closely fits your goals and add additional information in the notes section. All sessions are $85 per hour, with the exception of skills sessions. With over 15 years of experience in coaching athletes to reach their personal bests, let Coach Ahmadi prepare you for your next big event. Together, you can prepare for your next event, refresh your training plan, or even get back to a regular exercise regimen by planning your workouts and sport-specific strength training. Using a combination of specific exercises and different modalities of manual therapy to accelerate your progress, you no longer need to make different appointments to for massage/PT and strength sessions. Unfortunately, overtraining injuries are familiar to everyone who loves training. Some will try to push through it, ultimately causing compensation patterns that decrease efficiency of movement and lowering performance. Of course, if you love to train, this creates a dilemma: You don’t want to overtrain, but you also don’t want to take too much time off. Don’t spend extra time with multiple therapists; get back to your sport quickly with someone who knows your sport, and has experience in both areas. Coach Ahmadi will bring you back with the perfect combination of manual therapy and functional training. You love training for that major event. You’re training hard and giving it everything you’ve got. Pain has become your new BFF. Still, if you want to put in those tough days and weeks, you’ll need a solid recovery plan. Foam rolling and stretching is great, sure. However, the right massage therapy done at the right time, in combination with stretching, will allow you to put in your best training effort while also reducing the chance of injury. The best post-event recovery involves deep tissue work, select exercises, stretching, and enough core work to accelerate the flushing out of toxins and activation of your major muscle groups. Don’t get caught unprepared: Let Coach Ahmadi make the most of your training plan by finding the right time to add Performance Enhancement, and book your Recovery Tune-Up session today! You spend all your training time learning to push more power and go faster. Why not spend some time sharpening your riding skills, and put that power to work where it matters? Learn to corner and descend faster, and with confidence, or remount quicker without hurting yourself on your cyclo-cross bike. Learn the skills that will save you minutes off your next cyclo-cross or cross-country race without putting more power to your pedals. Coaching Package provides an excellent way to bring all your training together from your cycling, mtbiking, running, triathlon to strength training, yoga, pilates and everything else you can imagine and give it an eyeful purpose. 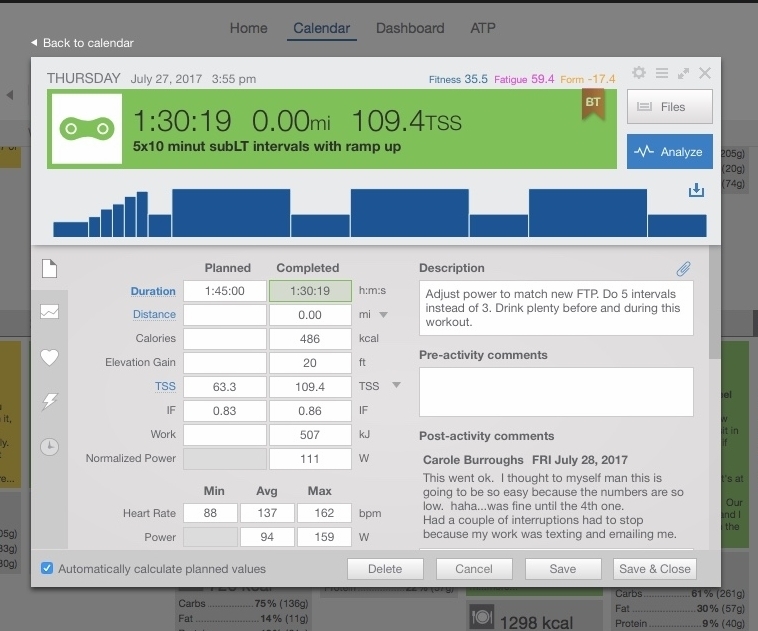 With Coach Ahmadi putting your workouts together for you to avoid over (or under) training.